​Jamie Redknapp has revealed that he believes Manchester City have the advantage in this year's title race as they welcome long-term absentee Kevin De Bruyne back into the fold. Liverpool have seen their seven point lead at the top of the league disappear since the turn of the year, and Man City could overtake the Reds with a win on Wednesday night over Everton. 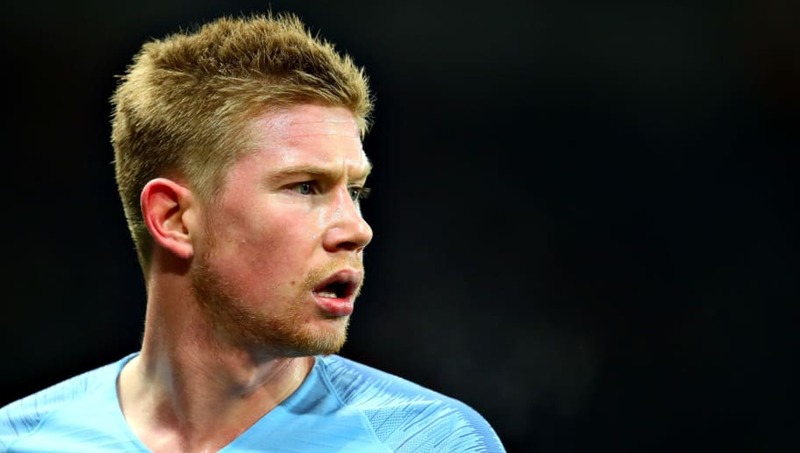 The former Tottenham and Liverpool midfielder stated that ​Kevin De Bruyne could prove the difference in this year's title race as the Belgian maestro makes a timely return to fitness. "They have recently lost to Newcastle and I don't buy the argument that Pep Guardiola pulled off a tactical masterstroke to beat Arsenal," Redknapp told the Daily Mail. "City beat a poor team. You do not radically change your team and shape if all is well. "Both City and Liverpool have started to panic recently. They must be relieved that Manchester United are so far behind. "Where City have the advantage is that they can throw a fresh Kevin De Bruyne - the best midfielder in the league - into a title race." De Bruyne has made just four starts in the Premier League this term having been sidelined for a large period of the season due to injury. However, last year's PFA Player of the Year nominee played his first full 90 minutes of the season last month against Huddersfield, and has returned just in time to help his side push for back-to-back titles. ​Man City will go into the weekend top of the league should they overcome a struggling Everton side on Wednesday night, but will look to regain their lead on Saturday as they travel south to face Bournemouth.